This first part of our “Secure Torrent Downloading” series is about downloads that don’t contain what you would expect. You will learn how to discern real from fraudulent content and how to always get what you need. Imagine the following scenario: You look for a movie on your favorite site, and find a torrent with exactly the right title and description. After downloading is finished however, the video file cannot be played back with any media player you have. And there is this strange notice in the folder: “Can’t play back the video? Install this necessary codec to fix the problem.” Sounds familiar? Wise users will of course not fall for this trap. In reality, the would-be movie is nothing more than a dummy file, intentionally busted so you open the attached .exe file. The “codec”, “video playback software” or whatever it is they’re disguising the program to be is, in fact, either some piece of unnecessary software bundled with adware, or, if you’re unlucky, a virus, designed to make your computer part of a horde of soulless zombies, stealing your personal data and sending badly written Viagra spam mails to others (“buy vigria fro cheapp”). Other variations of this scheme include alleged versions of the VLC Media Player, PC tuneup utilities and similar. Solution: Don’t install any .exe that comes with a video or audio file, it is very likely not something you want on your PC! In any case, you should delete the folder and look for another torrent, nothing useful to be found here. Here, you basically have the same situation as in example number 1, only that the download folder includes a .rar archive which can only be opened with a password. Again, a small text file with the “solution” is attached: Go to this or that website to generate the key to access your file. Uhm… why would anybody upload a torrent to a public tracker, only to encrypt the content? The solution is easy: The alleged “password site” is locked with a survey or trial offer of some sort which you have to fill out or sign up for to get access. We strongly recommend you don’t follow these “steps”, in all likelyhood you’ll just earn the website owner a few bucks in affiliate commission without getting anything. Nope, the archive, if you’ll get any password at all, does not contain the file you wanted in most cases; talk about a big waste of time! Scam no.3: Beware, virus ahead! Downloading software or games is a bit more tricky, after all you expect some kind of .exe file here! How can you then judge if there isn’t anything else added to the program, like, for example, some kind of virus? Obviously, you can’t eliminate the possibility of installing something malicious here, but there are a number of ways to greatly reduce the risk. For starters, be extremely careful with any keygens, cracks and the like being offered on separately, as you sometimes find them on badly moderated, small torrent sites; the vast majority are completely bogus and will screw up your computer. But surely your anti virus software will stop everything dangerous? Well, it is possible to modify a virus in a way that makes it invisible to most anti virus scanners, but they mostly get detected after a few days to weeks due to frequent updates that any legitimate security suite receives (you actually DO have an updated virus scanner on your computer , right?). 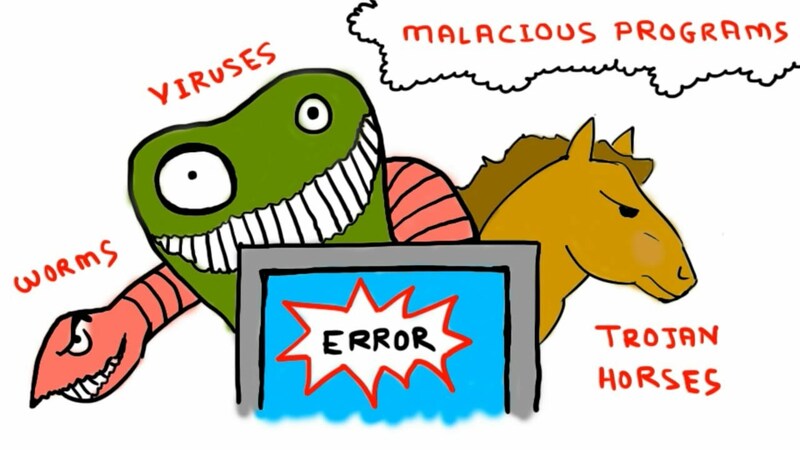 So, the longer a virus has been in circulation, the more likely it becomes to it getting blocked before it can do any harm. Speaking of which… There is a lot of fuzz these last years about lawsuits and warning letters being send out for using torrents, and you better know what is going on and how to protect yourself.